Personas are fictional archetypes based on the real world that represent a group of users who have common goals. This is a concept that is often used in product and software development. In this blog post, Katrina Clokie expand the concept of personas to the software testing domain. Software developers have often the habit to write code faster than their software testing capabilities. This creates a backlog of untested code. In this blog post, Dennis Stevens proposes some hints about things that programmers can do instead of writing untested code. Writing unit tests is easy in theory but could be more difficult in practice. Usually experience helps in getting better at unit testing. In this blog post, Patroklos Papapetrou shares some of his experience in writing Java unit tests. Software testing is an activity that is not always well considered in the software development community. When companies use a “silo” organization, the relationships between developers and testers are often tense. Developers complain that testers are not understanding the system and testers complain that developers write poor quality code. In this blog post, Emma Armstrong give some hints to help the software tester engineer to portray his role in a positive way. 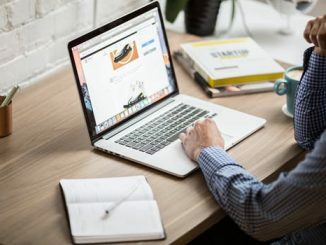 Behavior Driven Development (BDD) is an software development technique that use a specific format that allows both to describe the system requirements, the features, and to feed an functional software testing tool that will allow to verify the software product. In this blog post, Shashikant Jagtap explains how to write better feature files. Writing software tests is a good thing, writing better tests is even better. In this blog post, Marcos Brizeno shares fives tips to improve your software testing practice. For each of the tips, he provides also external references if you want to explore further the topic.